The world of geographic information (GI) is, at present, extremely heterogeneous. User and system requirements, too varied to be satisfied by a single system or technology, have led to an utter lack of agreement on interoperability standards, creating a barrier to realizing the full exploitation potential of GI. 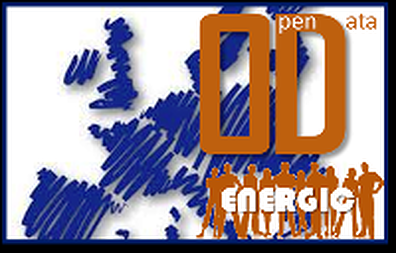 ENERGIC OD will address these problems by adopting a broker architectural approach, designed and developed in recent research activities and implemented in. In this approach, specific components (the brokers) perform all interoperability actions required to interconnect heterogeneous systems. ENERGIC OD will deploy a set of Virtual Hubs (VH) by integrating an existing broker framework with other selected technologies to provide users with a single point of access to geospatial datasets provided by new or existing platforms and infrastructures, including INSPIRE-compliant systems and GMES/Copernicus services. This innovative approach will greatly facilitate the development of new and multidisciplinary applications based on the full exploitation of (open) GI, hence stimulating innovation and business activities. To develop VHs to facilitate access to the use of heterogeneous data published by existing Spatial Data Infrastructures (SDIs), including INSPIRE-compliant systems, GMES/Copernicus services, etc. To exploit the outcomes of the project in order to ensure the sustainability and wider deployment of the VHs for the development of new applications and services. VHs at different scales (regions, member states, Europe) providing unique and mutually consistent points of access to heterogeneous data sources for both end-users (via geoportals) and machines (service interfaces, APIs). A set of ten new innovative applications optimizing the exploitation of (open) GI and the development of new marketable services.